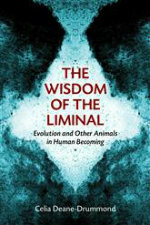 A sophisticated theological anthropology that takes into account evolutionary theories and our relationships to other animal. Drawing on classical sources, particularly the work of Thomas Aquinas, Deane-Drummond explores various facets of humans and other animals in terms of reason, freedom, language, and community. In probing and questioning how human distinctiveness has been defined, she engages with a range of scientific disciplines including animal behavior, ethology, and cognitive psychology. The result is a novel, deeply nuanced interpretation of what it means to be distinctively human in the image of God.